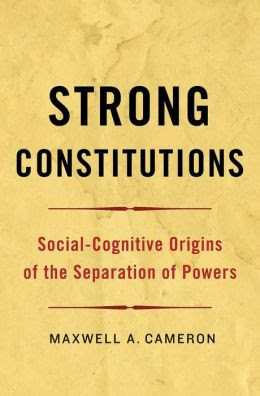 Max Cameron’s Strong Constitutions: Social-Cognitive Origins of the Separation of Powers is a very humane book. I don’t particularly intend that as a compliment, though I suspect it will be taken as one. In any case it’s not such a bad quality, not least in a book of political science. For Cameron’s aim is to avoid the dull, specialized, statistics-packed, acronym-heavy pseudo-objectivity that is all too typical of his discipline. Indeed, he has little time for the entire panoply of “twentieth-century efforts to make the study of politics a science in the model of the natural sciences” (199). He wants, instead, to return to a better and kinder time when politics could be conceived as a gentler, more virtuous and moral, activity than it has been envisaged under the terms of today’s Realpolitik and Polizeiwissenschaft. So, despite the overlaps with (among others) Jürgen Habermas’s theories of communicative rationality or Amy Gutmann and Dennis Thompson’s notions of “deliberative democracy,” Cameron suggests that something went wrong in political theory shortly after Montesquieu–or, oddly, just before the French and US Revolutions and so at the very dawn of the great age of constitution-writing. Indeed, the real hero of this book is Aristotle, and the Aristotelian conception of “practical wisdom.” The highest praise paid to Habermas, then, is that he “brings political theory back, full circle, to Aristotle” (157), while Montesquieu marks an end to things in so far as he was “the last great Aristotelian theorist” (92). What results is a wide-ranging, ambitious, and often highly readable treatise on the function of the “separation of powers” within constitutional systems and constitutional thought from the Ancients to the present. Cameron makes two key points: First, that separating powers is not the same as limiting them. In other words, and against the common conception of “checks and balances”–the notion that the various parts of government need to be set against each other in order to ensure that none dominates the others–Cameron argues that it is only by keeping diverse forms of power distinct that we can have “strong constitutions,” that is, states and social orders empowered to organize and coordinate collective action. Rather than imposing limits, then, separation is best understood as a device to enhance each modality of governmental power and to ensure that together they are more than the sum of their parts. Cameron’s second point is that the three modalities of power embodied in the legislature, executive, and judiciary are fundamentally all determined by their relation to written texts: writing, reading, and reflection. They are each, in other words, different aspects of the interpretative process in a system that is shaped by and dependent upon the written word. Constitutions are ultimately “texts that prescribe speech acts that are performed repeatedly according to a set of conventions and understandings” and thus give rise to “linguistically constructed worlds of shared meaning” (200). Hence, “reading” is far from a passive activity: when Cameron calls it a “speech act,” it is so in the sense that “reading the Riot Act” is a performative utterance with concrete effects on a given collection of human bodies. But such utterances are only effective if they are ascribed the requisite authority and legitimacy, and this (Cameron argues) is what the separation of powers ensures. If the Riot Act is read and the people do not disperse, then whatever the limited success of sending in the police with their batons and shields, something is wrong with the constitutional order. So this is in many ways a very traditional book, almost refreshingly old-fashioned in its historical sweep and its attempt to rise above any geographical or cultural particularity as much as in its recourse to an old and somewhat out-of-favour theoretical tradition. Yet by putting language so firmly at the centre of its analysis, it also gestures to the so-called “linguistic turn” that has been so influential in twentieth-century social theory, even as mainstream political science turned its back on such theory in the name of rationalism and scientificity. Yet sadly, Strong Constitutions remains a work of the mainstream in so far as it, too, passes up on the chance for fruitful encounter with theorists of language, narrative, and political representation from Austin to Derrida, Althusser, Lyotard, Foucault, Laclau, Butler, or Agamben; some of their work is briefly cited, and there is a short if rather unsatisfactory discussion of Agamben in particular, but ultimately this is an opportunity lost. Here, I think, is where Cameron’s investment in the humane tradition does what is otherwise a fascinating and important book a signal disservice. For ultimately, Strong Constitutions falls back on a scientific naturalism that is no less debilitating than the one that it (rightly) rejects in contemporary Political Science. We see this in the strange and wholly unexamined assumption that the separation of powers somehow replicates fundamental structures of human cognition: it “organiz[es] the state so that it has the same collective capacity for agency as the human mind: deliberation, followed by execution, and judgment of consequences” (166). This is surely as reductive a vision of agency as that of more conventional rational actor theory. Moreover, the invocation of “cognition” gives it a similarly spurious sense of scientific foundation–however much the first part of Cameron’s book suggests that ways of thinking are historically conditioned by communication technologies. Yet this assumption, that states act and think like people, and that people act and think according to these three particular categories, is central to what Cameron calls his “social-cognitive” approach, which is based on the notion that the separation of powers is “an organizational consequence of human cognition” (14). Constitutions emerge then as less the product of human minds (as Cameron is otherwise keen to emphasize) than the quasi-natural attempt to mimic their thought processes. Not only does this lead to the very conservative confusion of description with norm: what (putatively) is becomes the model of the way things ought to be. Additionally, and despite his arguments against social contract theory, Cameron comes to remind us of Thomas Hobbes, who saw, as Sheldon Wolin is quoted as saying, “a potential congruence between the phenomenon of politics and the concepts of the human mind, provided that these concepts were founded on the right method” (qtd. 88). A new Leviathan emerges! So long, that is, as people do indeed think the ways in which they “ought” to think. Where constitutionalism apparently doesn’t work out–as in the case of much of Latin America, we’re told–this is because of “entrenched patterns of social communication” that don’t fit the ideal model (178). Here, constitutions can’t very well do the job of bringing us to order, that is, of “bring[ing] speech and action into line with texts” (202). But then we are locked into a circular problem: if a constitution merely reflects (a given state of) human mind, mirroring its organizational features, then it can’t be expected to flourish in such barren social-cognitive ground. As Bertolt Brecht famously put it, “Would it not be easier / In that case for the government / To dissolve the people / And elect another?” Which, upon reflection, doesn’t seem such a humane option after all. And this is one of the cruel ironies of the humane tradition: that it has so often been so very inhumane in practice. America can be a maddening and frustrating place. Indeed, what is best about America–its boundless optimism and energy, its refusal to listen to naysayers–is also precisely what is so maddening. Moreover, this is as true (perhaps more so) of those who are not-quite Americans, who are in the process of becoming American. After all, nobody believes more in the American Dream than those who have yet to face up to the American Reality. But the point of the American Dream is also that it is so often unfazed by its encounter with reality. 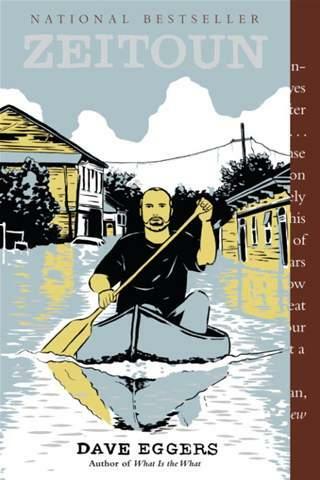 Dave Eggers’s Zeitoun is a tale of one immigrant’s experience in America: a man who sees the very worst of that country, but who (we are told by the author recounting the story) still stubbornly continues to believe. Indeed, is this not why Eggers, a writer otherwise notable for his sense of nuance and irony, not least about the fashionable overuse of the term “irony,” has chosen Abdulrahman Zeitoun as the subject of his latest book? The concluding words of Zeitoun , which are the last part of the “Author’s Thanks,” are dedicated to Zeitoun and his wife Kathy, who by this point we know have been through an appalling experience in New Orleans at the hands of Hurricane Katrina and (more horrifying still) the security services’ ferocious over-reaction in the aftermath of the hurricane. Eggers rightly praises the couple’s courage, which “knows no bounds,” but then concludes by upholding “their faith in family and country [that] renews the faith of us all” (337). Yet this is a story that, by rights, should destroy any faith in country, even as it does very much remind us of the virtues of family–in this case what is very much a translnational and transcultural family whose shared passion is more the water that divide (and link) different countries, rather than any one homeland in particular. The Zeitouns are Syrians who, we are told, repeatedly try to turn their backs on the sea, but to no avail. Abdulrahman’s father, Mahmoud, was born on Arward, “the only island off Syria” where “most boys grew up to be shipbuilders or fishermen” (23). Mahmoud himself worked on cargo boats criss-crossing the Eastern Mediterranean until one day he fell off a schooner’s main mast and found himself at sea for two days, clinging to a barrel, until he washed up ashore again in northern Syria. From that day he moved to the mainland, searching for a house as far inland as possible, and pronounced an edict that none of his children would go to sea. But in the end he settled on a home not fifty feet from the shore, and his sons were soon following his wake in their fascination for the water. An older son, Mohammed, became a long-distance swimmer. Another, Ahmad, became a sea captain until he settled down in Malaga, Spain. Other Zeitouns found their way to Saudi Arabia. Abdulrahman himself spent ten years serving on multinational crews from Greece to Japan, Lagos to London, until eventually finding himself in the USA where he settled on dry land, met and married Kathy, an American convert to Islam, and had three children. In New Orleans, he became a successful businessman as owner of a company of painting contractors and manager of a collection of rental properties. But his attempt, too, to turn his back on the sea failed when Katrina swept through, broke the flimsy levees, and let the waters flood in. As Kathy and the kids, along with most of the city’s population, seek safety and shelter elsewhere, Zeitoun stays. With the stubborn optimism of a hard-working immigrant, and as someone with no great fear of the elements, he felt he could do better weathering the storm and looking after his property. In the eerie silence that followed the hurricane, he paddled through the flooded streets in an old canoe, giving help where he could to its stranded inhabitants. He rescues people from their houses and feeds abandoned dogs, all the time bemused and angered by the failures of the police and other authorities who speed around in fast and noisy fan-powered boats. In his canoe, slowly and quietly navigating the waterlogged streets, Zeitoun is more attuned to the faint sounds of trapped home-owners and pets. But even when he does pass information on to the police, they seemed peculiarly uninterested in humanitarian rescue. Born out of paranoid fears of a city out of control, the official mandate, it seems, is security. Here Zeitoun is caught up in a decidedly un-natural tragedy. Along with a couple of other fellow-survivors, he is forcibly apprehended by a posse of armed law-enforcement agents and taken to a secure facility that has been swiftly constructed in the downtown bus terminal. Known as “Camp Greyhound”, with its open, wire-fenced cells, its prisoners’ orange jumpsuits, and its guards’ callous insensitivity, the place bears more than a passing resemblance to other sites of extraordinary force and discipline such as Guantánamo Bay and Abu Ghraib. Indeed, Zeitoun soon finds himself an exemplary subject of the current US state of exception. His detention, at the hands of a Federal Emergency Management Agency that has been folded into the post-9/11 Department of Homeland Security, abrogates all the conventional safeguards of a liberal judicial system. 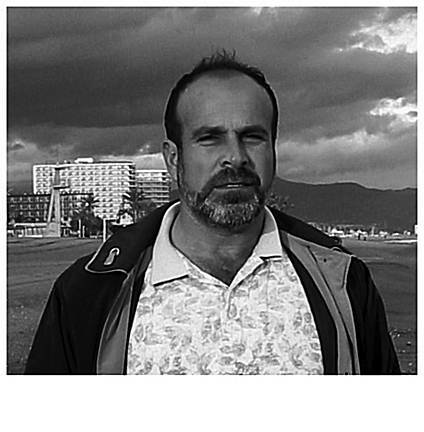 Zeitoun is not registered, not read his rights, not given access to a lawyer or a telephone. For all the world–and for his wife who has taken refuge in Arizona as much as for his brothers and sisters in Syria or Spain–he has simply disappeared. He has become a non-person. This is Kathy’s worst fear: as the Moslem wife of an American born in the Middle East, “she had not wanted their family to become collateral damage in a war that had no discernible fronts, no real shape, and no rules” (252). Zeitoun spends almost a month incommunicado but unarraigned, uncharged, in Camp Greyhound and then the nearby Elayn Hunt Correctional Center. His companions, less lucky still (and with less property as security to secure bail when they are eventually charged), spend up to eight months incarcerated. When he finally managed to reunite with his family and return to the devastated city, at least the worst he has to face is mere incompetence: FEMA give them a trailer to live in, but no keys to access it. But there is never any attempt to compensate him for his experience. A lawsuit seems pointless: “Zeitoun’s ordeal was caused [. . .] by systemic ignorance and malfunction. [. . .] This wasn’t a case of a bad apple or two in the barrel. The barrel itself was rotten” (307). With the suspension of all the usual guarantees, with the conversion of the state into a rogue force unconstrained by liberal niceties, “anything could happen. Anything had happened” (314). Or as Zeitoun reflects during his imprisonment, “there was something broken in the country, this was certain” (262). Eggers tells us that Zeitoun’s conclusion is that “New Orleans, his home, needs no speeches, no squabbling, and no politics. It needs new flooring, new roofing, and new roofing, new windows and doors and stairs” (323). Perhaps we can take this two ways. If politics is simply equated with speeches and squabbling, then fair enough; and yet that means that New Orleans (and the USA as a whole) needs as much as anything a new politics. A new political constitution has to be built, even if it is never finished, just as a city is never ultimately completed but always in a process of (re)constitution. Eggers, however, reads this anti-politics as an affirmation of “the faith of us all” in America. For Eggers, the system merely requires supplementing with charity–and the book’s profits are to go to a mixture of good causes under the umbrella of a “Zeitoun Foundation.” We need to go back to work, he suggests, with our faith in America renewed, ultimately unquestioned. And he uses this tale of a Syrian American immigrant and his family, a people of waters and the trade routes that are global rather than national, to articulate his decidedly conservative patriotism. Moreover, it is a patriotism that the story of Zeitoun–and that of so many others who have been caught up in a state of exception that itself knows no borders–should by rights decisively negate. Civil society theory has flourished in the social sciences in recent decades, and enjoys great influence with non-governmental organizations, social democratic think-tanks, and the like. This second chapter is a critique of that theory and the practices it fosters, arguing that it assumes a liberal compact that is too easily overtaken by its neoliberal radicalization. I first discuss the various definitions of civil society, and the reasons for the concept’s popularity: it names a sphere of mediation between state and market, private and public, and also brings with it an aura of normativity. Who would not want a more “civil” society? I go on, however, to criticize the term’s deployment, through a close reading of political theorists Jean Cohen and Andrew Arato. Their theorization of civil society reveals the concept’s profound ambivalence: it is presented as a moderating, mediating force, but depends upon what they call the “democratic fundamentalism” that drives the social movements that constitute civil society itself. For all that these movements are championed as the expression of democratic rejuvenation, they also are to be policed and curtailed to protect both state and market in the name of political and economic efficiency. I argue that the neoliberal state outflanks civil society theory with its cult of transparency that bypasses mediating institutions and breaks down the boundary between society and state. Neoliberalism and its diffuse sovereignty herald a revolution in reverse, a fundamentalism purged of affect. But that repressed affect always returns, and in counterpoint I offer an account of the Peruvian Maoists Sendero Luminoso and their relations with the neoliberal regime of Alberto Fujimori. Sendero’s baffling ferocity challenges any theory of civil society, and provide a foretaste of the global war on terror that we are all living through now. In “The Failure of Political Theology”, a review essay for Mute of Forrest Hylton’s Evil Hour in Colombia and Achille Mbembe’s On the Postcolony , Angela Mitropoulos (aka s0metim3s of the archive) skewers the assumptions of “failed state” theory. She points out, on the one hand, that the notion of “failed states” presupposes the norm of the “successful” state as a more or less harmonious instance of the social contract at work. This is a presupposition shared by liberalism and by Gramscian hegemony theory alike. And obviously enough I thoroughly agree with her assessment of hegemony theory as no more than “a variant of social contract theory with Marxian pretensions.” Indeed, as Mitropoulos’s reading of Hylton’s book shows, if anything so-called progressives are more wedded to the social contract (and so to the repression of the state’s founding and ongoing violences) than are liberals. The (populist) demand to refound the state by means of an organic representation of subaltern classes is a ruse of the state’s feigned self-cancellation. And on the other hand, I also appreciate her critique of Mbembe’s book, in which she argues first that he falls into replicating the line drawn between European normativity and Third World (in this case, African) exceptionality. We are all postcolonial, and perhaps always have been: the subaltern excess and territorial failure so evident in the South can equally be found everywhere in the North. Second, Mitropoulos also insists that such failure should be taken less as a cause for lament than as a whole new set of possibilities for thinking a new (suitably posthegemonic) politics, no longer tied to the nation, to representation, or to the contract. It’s also worth pointing out that the maps of “failed states” that accompanies the article are in turns laughable and bizarre, demonstrating the manifest bankruptcy of the concept. Or perhaps, the tension (as well as the collusion) between its two variants: the military and geopolitical definition that measures strength in terms of robustness, versus the social democratic definition that demands legitimacy through representability, responsiveness, and welfare. After all, Colombia (Hylton’s focus) is by no means a failed state in terms of the first definition: a couple of years ago it overtook Venezuela as the South American country with the longest unbroken democratic tradition. If anything, the supposed weakness of the Colombian state is a function of its dispersion: in some ways it comes very close to the Gramscian ideal of a fully organic state formation. The state is both everywhere and (so, apparently) nowhere, its functions dispersed through a complex network of para-state organizations both formal and informal. So the recent spat between Uribe and Chávez is little more than sibling rivalry, as of course is fitting for two neighboring heads of state of countries that in many ways (geographic, demographic, and even historical) are peas in a pod. No wonder that the dispute should have centered around protocol rather than ideology, the chain of command rather than command itself. To describe the differences between the two in terms of “left” and “right,” however much this is what the discourse of “left turns” implies, is to miss the fact that sovereigns are inevitably on the same side when it comes to safeguarding the image of a social contract and thus the fact of constituted power. Cross-posted to Long Sunday and Left Turns?. Police and crime dramas are popular genres in Peruvian cinema (see for instance Alias “La gringa” or Bajo la piel ) and also in Latin America more generally ( Plata quemada or El chacal de Nahueltoro , say). There are various reasons for this. Among them, first, that crime is consistently an issue in contexts where the state is relatively weak and so either rural banditry or urban delinquency rife. Second, even when the state is present it is often the object of distrust; a sense that official corruption is tolerated and the poor unnecessarily targeted often turns criminals into folk heroes. Django: La otra cara purports to show this “other face” of criminality and to humanize the conflict between cop and robber, but frankly it’s all too predictable and far from credible. This despite the fact that allegedly it’s based on a true story, of one Oswaldo Gonzales, alias Django, a notorious Peruvian bank robber during the 1970s and 1980s, who may even have started his own blog devoted to detailing his subsequent conversion to Christianity. In the film, however, what we are shown are Django’s final days at large, as his criminal career starts to unravel thanks to a botched hold-up in which a partner and friend is killed, and thanks also to the single-minded pursuit of a police captain by the name of Manuel. It turns out that Django and Manuel were once friends, way back when they were young men in the provincial town of Trujillo. What’s more, Django’s wife, Tania, was once Manuel’s girlfriend. So the policeman’s investigation is also a personal matter, which leads to a measure of respect and consideration on the one hand, but also all the more determination in the quest for justice on the other. Meanwhile, on the run, Django hooks up with his dead buddy’s woman, and together they go on a desperate rampage with shades of Bonnie and Clyde while poor Tania is left literally holding the baby. So Django is hardly the gentleman, despite his debonair ways and the fact he repeatedly examines an old black-and-white photo of his family for some kind of inspiration and/or succor. There’s also the suggestion of yet another backstory, in which our hero villain may have been the lone survivor of a car crash in which his parents and brothers were killed, but nothing is made of this over the course of the film. The stress is on the different paths followed by the two old friends. One has sided with the forces of law and order, the other has become intoxicated by the thrills of crime and ill-begotten money. Constant flashbacks continually ram the point home. But these nostalgic scenes of bygone days don’t in fact clarify either of the two characters: in fact their destinies already seem to be set from the outset. Django would probably like to suggest that the problem of law and outlaw, of criminality as both menace and popular myth, and of the state as both moral guardian and broken promise, is a question of a singular entity with multiple faces, some kind of social doppelgänger. But the movie never succeeds in charting such ambivalences. The paths of lawman and villain only touch tangentially; they never actually cross. Django seldom deviates from being headstrong and self-centered, while Manuel is almost always scrupulous and considerate. The final scene hints at some ultimate betrayal, in which some rough code of honour between the two at last comes to an end, but by this time we really no longer care. YouTube Link: Django’s prison break. El huerfanito (“The Little Orphan”) is another instance of a film from Peru’s regions. Set and shot in Puno, by the shores of Lake Titicaca, it tells what are essentially three interconnecting stories. 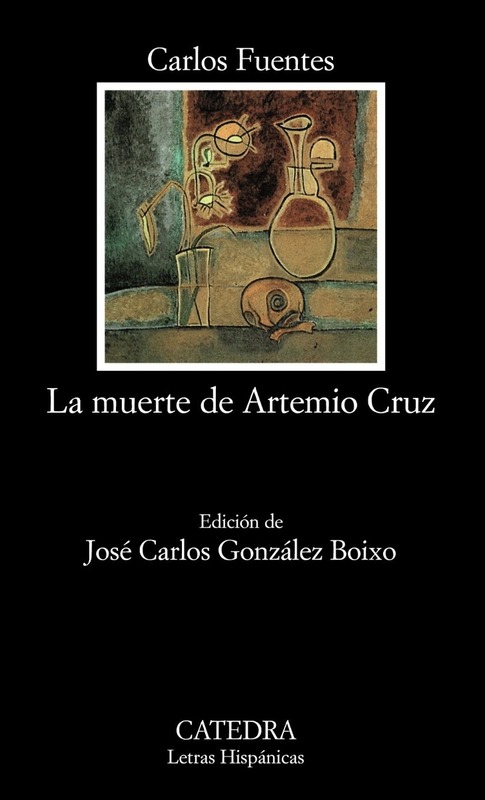 In the first, a young boy from the countryside, Juanito, sees his mother die in childbirth and his father get sick. Sent to the city to sell the family produce and buy provisions and medicine, he is taken in by a card shark and gambles away all his money plus loses his donkey. Then he’s given a job selling ices on the street, but is too shy to hawk his wares and so his merchandise gets ruined and melts. A couple of times he runs into a young boy from the city, Luchito, who is the protagonist of the second story. Luchito’s father is a drunk who abuses his wife and children and puts little effort into his carpentry business, drinking away the pittance that he earns. 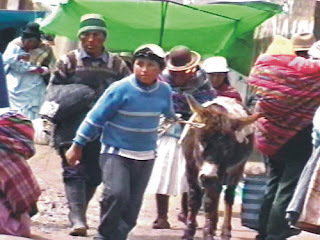 As the mother is therefore forced to work on the streets, selling juice from a pair of plastic containers, Luchito is left mostly to his own devices. Then the third and least-developed story concerns an ex-con who returns to his old haunts and re-unites with his gang. They steal a car, get drunk, and carelessly run over a woman who turns out to be Luchito’s mother. The stories come together in the film’s finale as, in a bid to ensure that the mother dies rather than survives to inform on them, the gang recruits Juanito to make an exploratory foray into the hospital. There he meets up with Luchito and in tandem with both Luchito’s father and the police they ensure that justice is done to the delinquents. But the outcome for each boy could not be more different: while Luchito’s mother recovers and his father is shocked into being a good husband and father once again, Juanito returns to his rural community only to find out that his own father has died of a stroke in his absence. One striking stylistic feature of the movie is the frequent use of point of view shots that place us directly in the position of characters as they either abuse or are abused by each other. The actors are constantly shown in close up speaking straight to the camera, and so straight to the spectator. The film’s verbal and visual discourse alike seek therefore to interpellate its audience directly. And in this sense, rather strangely, unlike Sangre y tradición , El huerfanito does aspire to be a national, rather than simply a regional, film. It’s no great surprise, then, that its director should complain also that the film industry has been “orphaned” by the state. Quispe wants to speak as a state, with the state, to a public that he imagines has to be educated, improved, and reformed. For “the people are bad,” Luchito and Juanito agree. But they are not quite so bad that they cannot be redeemed, by a fully national cinema. But this account loses sight of a more interesting subplot concerning two star-crossed lovers, one of whom is Juanito’s elder sister Margarita. They make a break from authority, first on horseback then rowing away across the lake. Little more is seen of them until the very end of the movie, when the film-makers’ logic requires that they be dragged back to serve as surrogate parents for young Juanito now that he is truly a “little orphan.” But what if the film had lingered longer on their escape, rather than reterritorializing them, too, within the bounds of a renovated familial power structure? YouTube Link: the movie’s trailer.